Last Friday I had a very interesting morning looking at blood and ‘sterile fluids’ (eg spinal fluid, fluids from joints and bile) samples as well as the serology and virology labs. Lots of cool stuff to write about but as I am traveling at the moment that will have to wait. 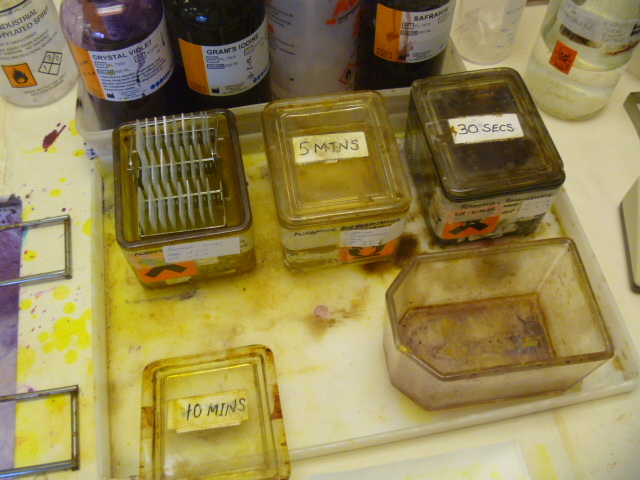 However, I had some interesting pictures left on my camera that I would not want to deny our interested blog followers…..
Incubation chamber for blood samples. 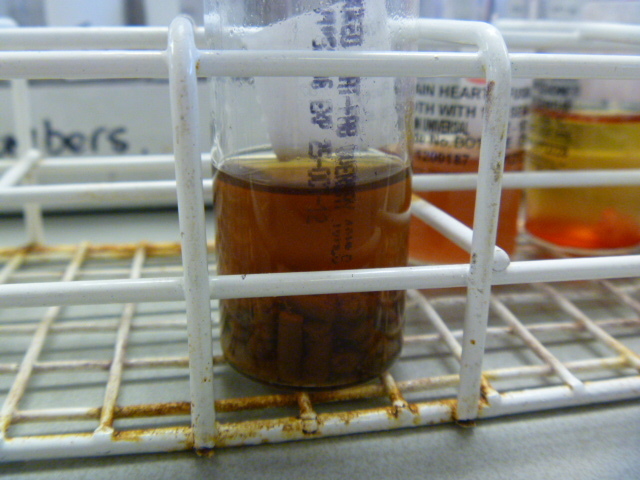 Samples are incubated for 5 days and growth is monitored (and interpreted) by a computer. 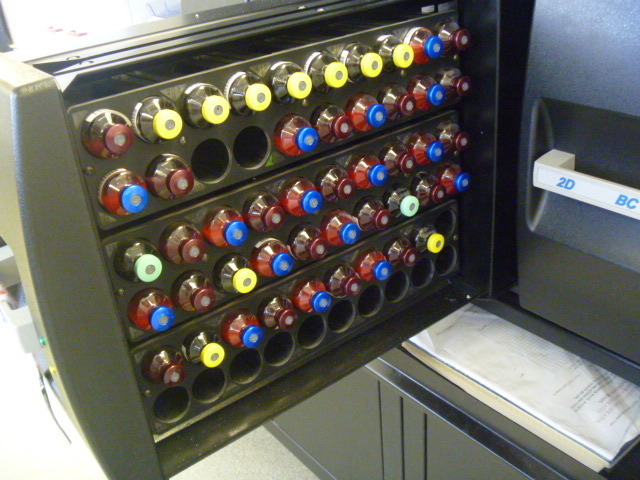 Bacterial growth in blood is rare compared to the other sample types. Late growth is often due to contamination by Propionibacter, a common skin bacterium. 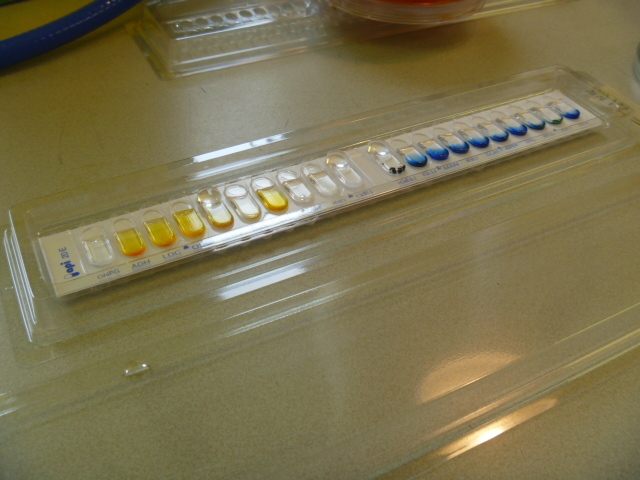 Strains that are not readily identifiable using the standard tests can be incubated in an API test strip containing 20 different substrates. A computer program gives an identification based on growth (colour) patterns. A way more sophisticated version of this type of test is carried out by the labs‘ VITEK machine; I will definitely write more about that beast in the future. Liquid medium is referred to as broth (at least in the English language), which I always found a bit strange. However, it definitely makes sense to me now: see Robertson’s Cooked Meat broth, used for the enrichment of slow growing (fastidious) species, including anaerobes. 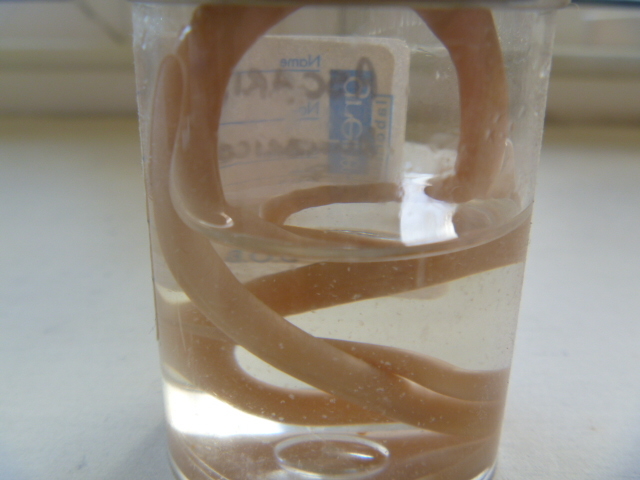 The roundworm Ascaris, which is more common. 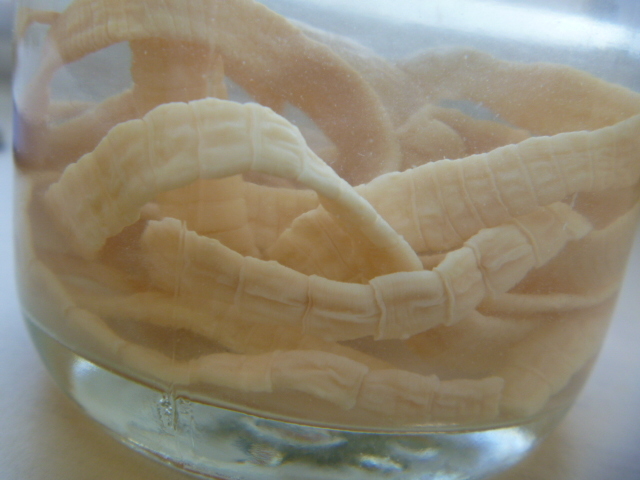 Our collaborator Richard Bendall at the hospital has done some nice research on this organism, which is transmitted from pigs to humans in Cornwall more often than in other parts of the UK. As I have mentioned earlier, Will and I are in the process of setting up our own lab in the hospital and there will definitely be many more posts featuring the clinical lab in the near future. I must say I have been very impressed with the lab. Besides from the samples coming from the hospital, couriers come around in the afternoon with bags full of samples from GPs that are emptied on tables and barcoded and swiftly disappear in the various labs. There is an enormous throughput of samples and everyone is working very hard. Quality control is important; not only are positive and negative controls normally used for all tests, the NEQAS (National External Quality Assistance Scheme) sends ‘mystery’ samples with a brief clinical description to the lab that need to be identified within a certain time frame.